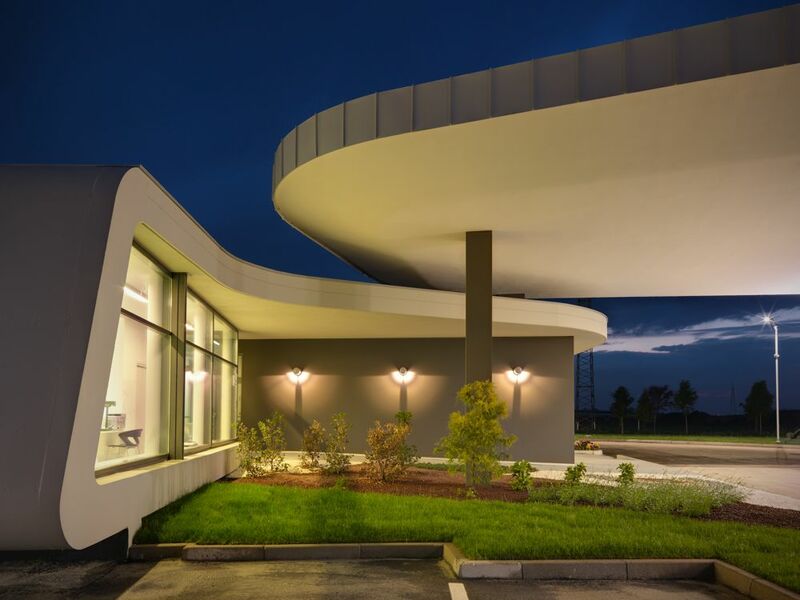 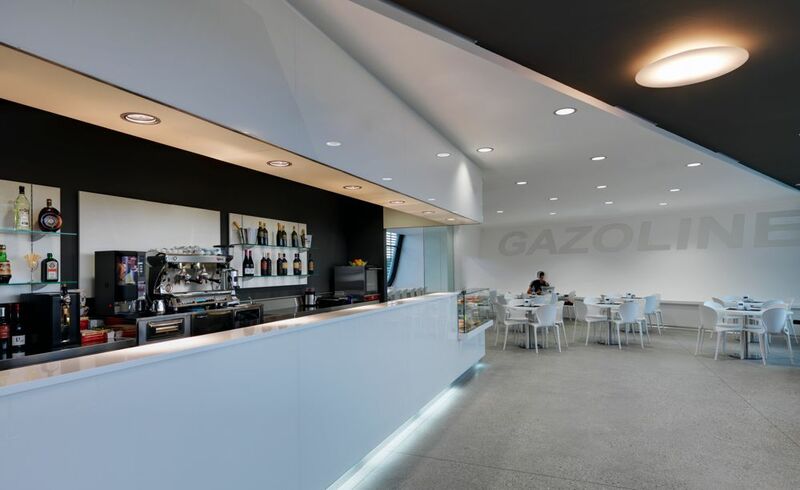 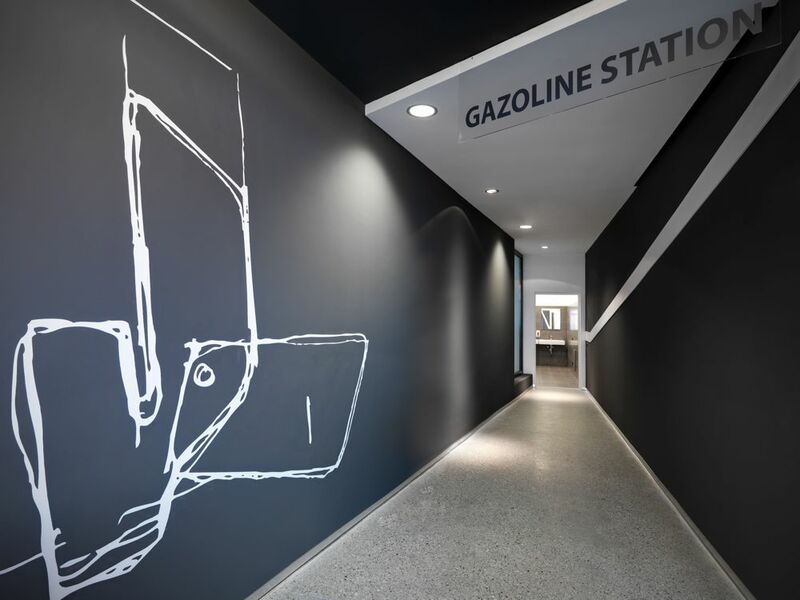 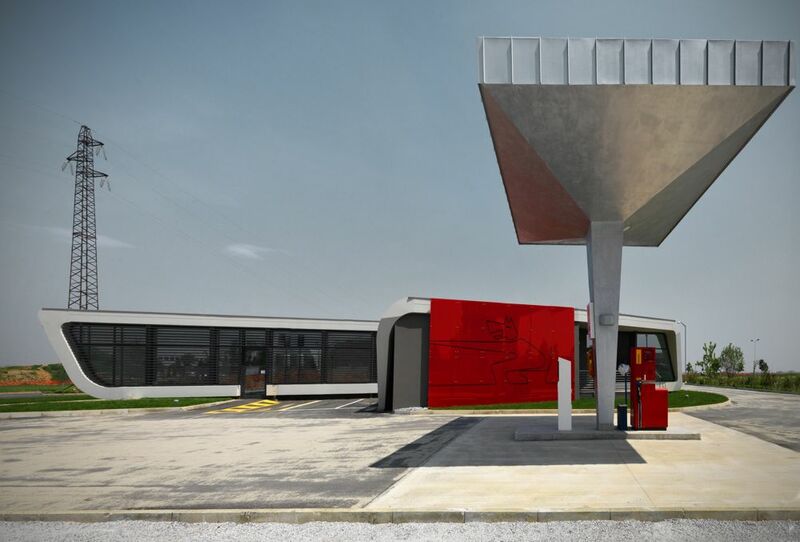 The design of a service station is strongly tied to the idea of travel wheter it provides a break for refueling, or just to stretch the legs before continuing the journey. 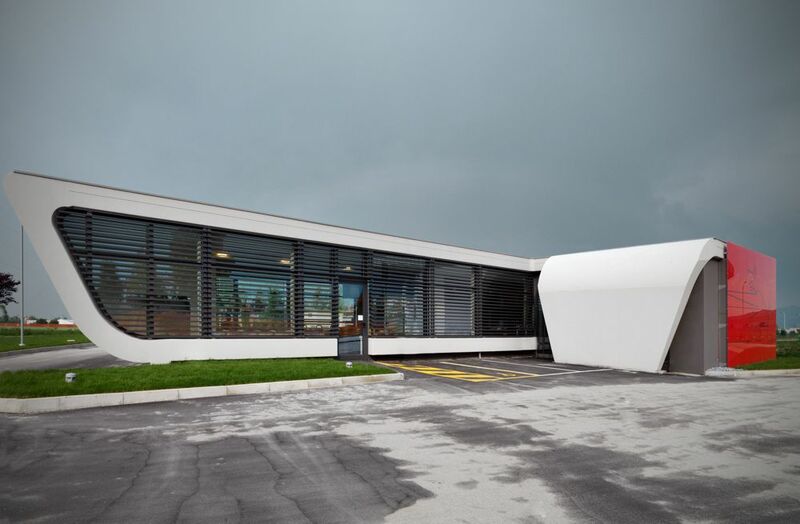 With the same continuity, the service station is separated from the asphalt like a ribbon of road wrapping around itself, creating a temporary oasis to accommodate the traveller. 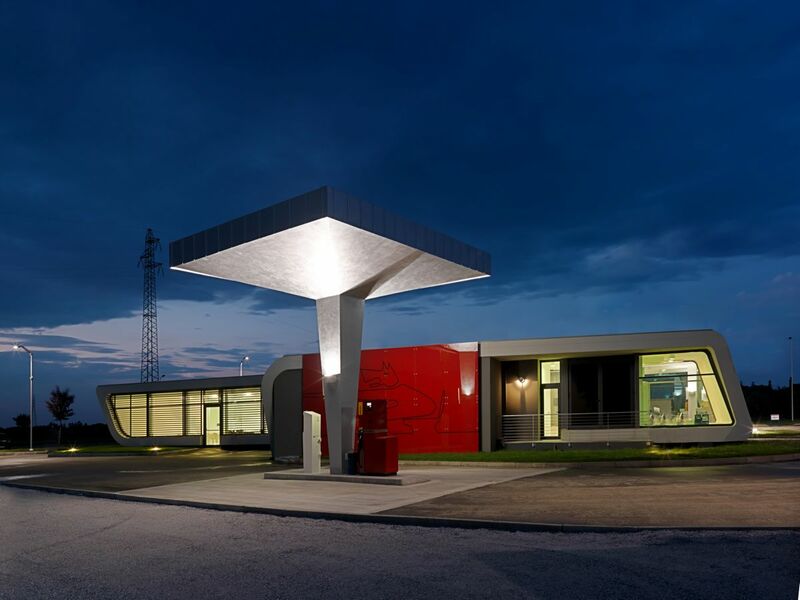 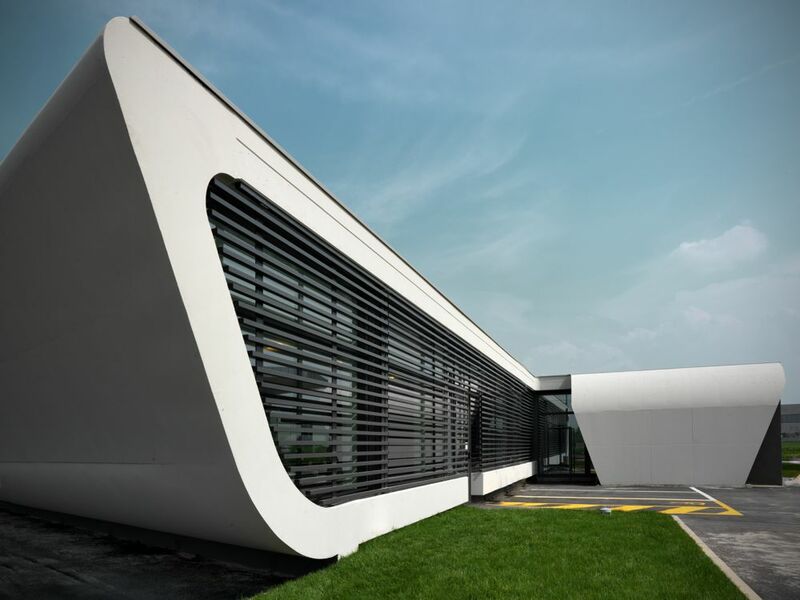 The architecture of the service station, as usually conceived as a mere support function, thus influencing its shape. 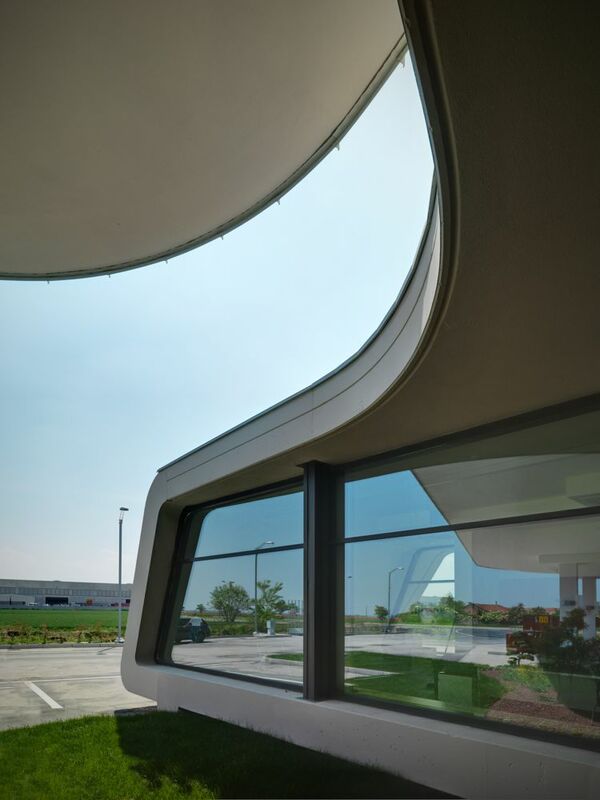 The architecture, static by definition, becomes closely related to the concept of continuous flow that becomes the urban landscape. 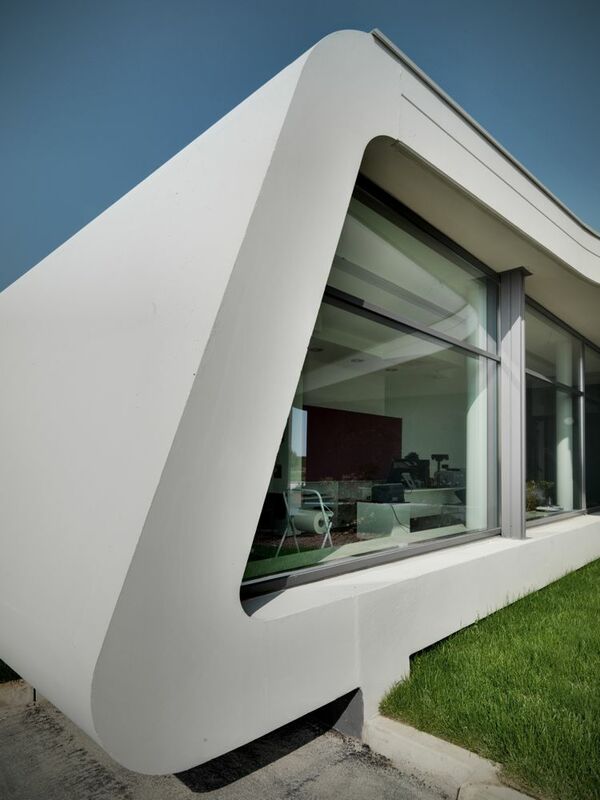 The reinforced concrete shell, cast in special moulds, is closed by glass walls. 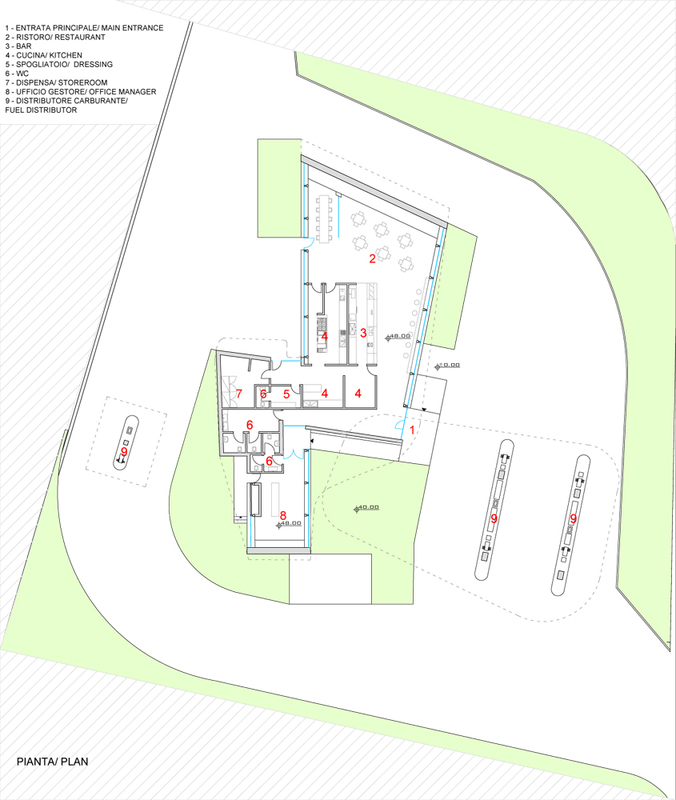 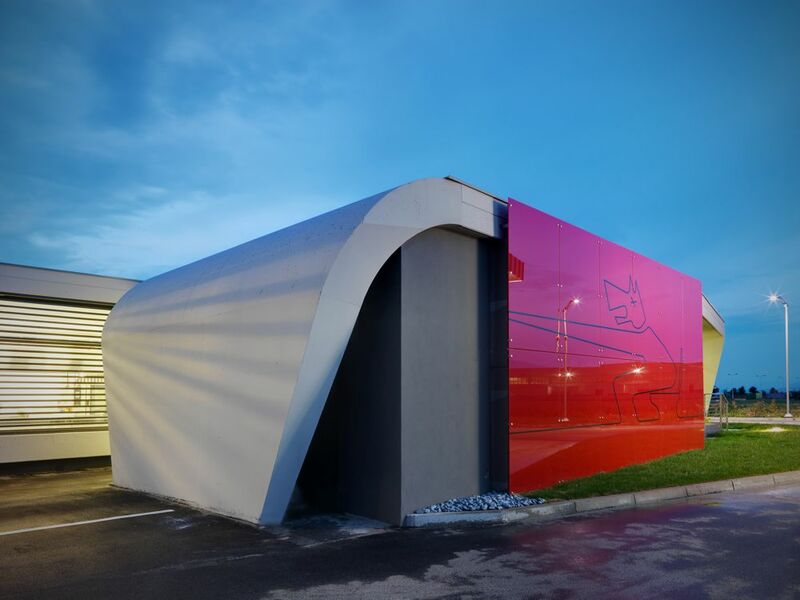 On the rear elevation, a red steel block is detached from the building and a wolf howling, illuminated at night, drawing attention to the toilet area.